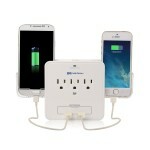 small, lightweight inexpensive lamp that is also battery backup for the price. Best I ever seen. Light is very bright on my headboard which makes it enjoyable reading. The lamp is top heavy and if you bend the top to far over it tips over. It is better if you install the three batteries in the base. However the light produced from the lamp is clear white and pleasant. All in all it is not a bad product. 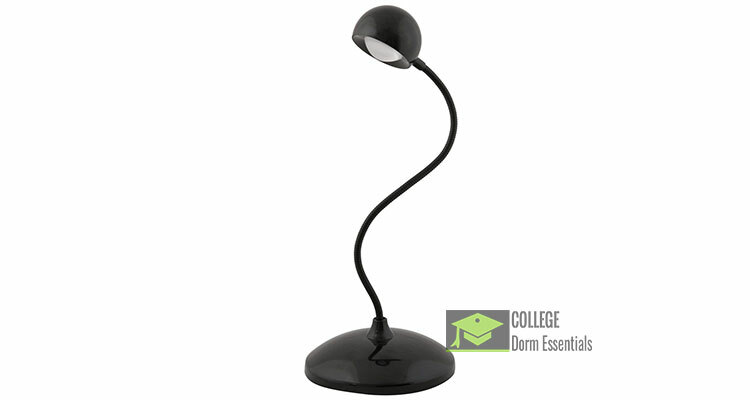 Illuminate your workspace at home or in the office with this versatile gooseneck desk lamp. 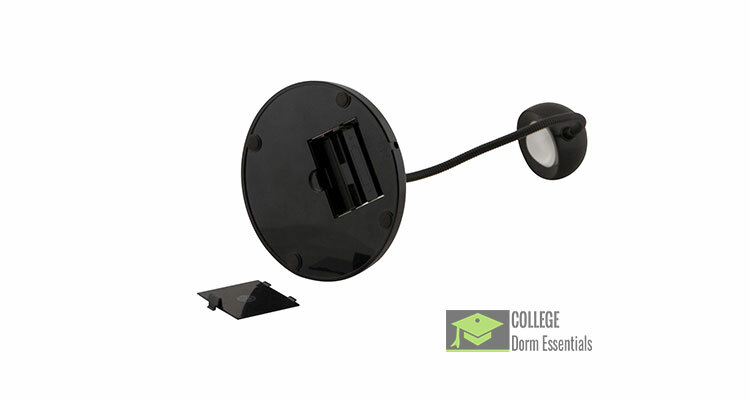 The LED Ball Light features a sleek and contemporary design with one single LED light designed to brighten up any room. 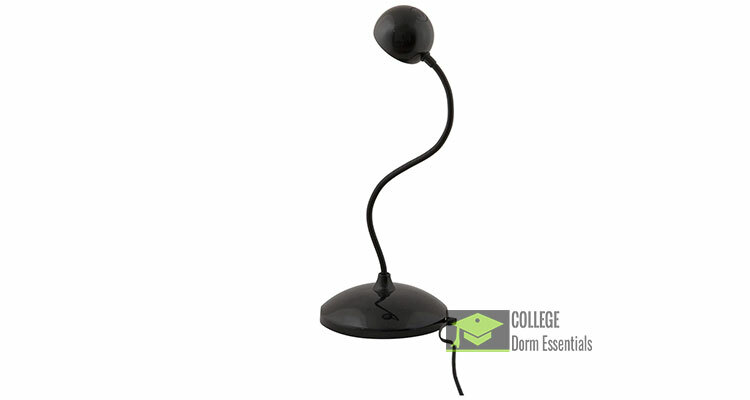 Perfect for reading a book in your dorm room, shining a light on an art project or a craft project, doing homework from the comfort of your bed, or writing and preparing documents in the office, this LED ball light features a flexible gooseneck design with a small rounded shade. The flexible design allows you to create up lighting, twist and bend the lamp to create down lighting, or point the light in any direction needed. 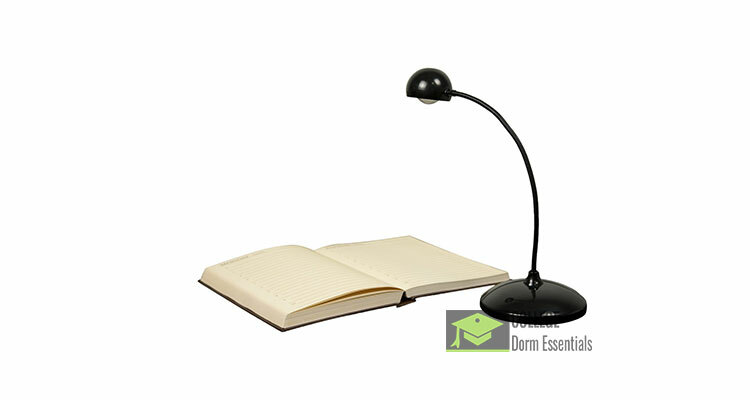 Designed for use with the included AC adapter, and also compatible with 3 AA batteries so that you can use it in different areas of the room, this simple black desk lamp fits perfectly into a contemporary room with a clean design aesthetic but can be easily coordinated in any room with any type of decor. The small round base can be positioned in a corner of your desk or placed on a side table, a bedside nightstand, a laptop workstation, a computer desk, or a bookshelf. 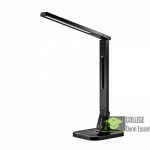 The lightweight and flexible design allows you to leave the light in one fixed location, position it in different places around a room, or carry it from one room to another. With a special diffusion lens that provides bright light yet softens the glow so that it doesn’t appear harsh or irritating, this small desk lamp is ideal for a college student with a limited amount of living space in a dorm room or a small apartment. This lamp is also perfect for anyone that shares a workspace and needs a work light that can be easily focused and concentrated in one particular area.